*This item can be transferred between stores or from our warehouse for viewing or purchase, just click the -Enquire About Availability- button below and let us know which store. Click and Collect is not available from our Warehouse. This item is available for Click & Layby. This item is available for Australia Post delivery. 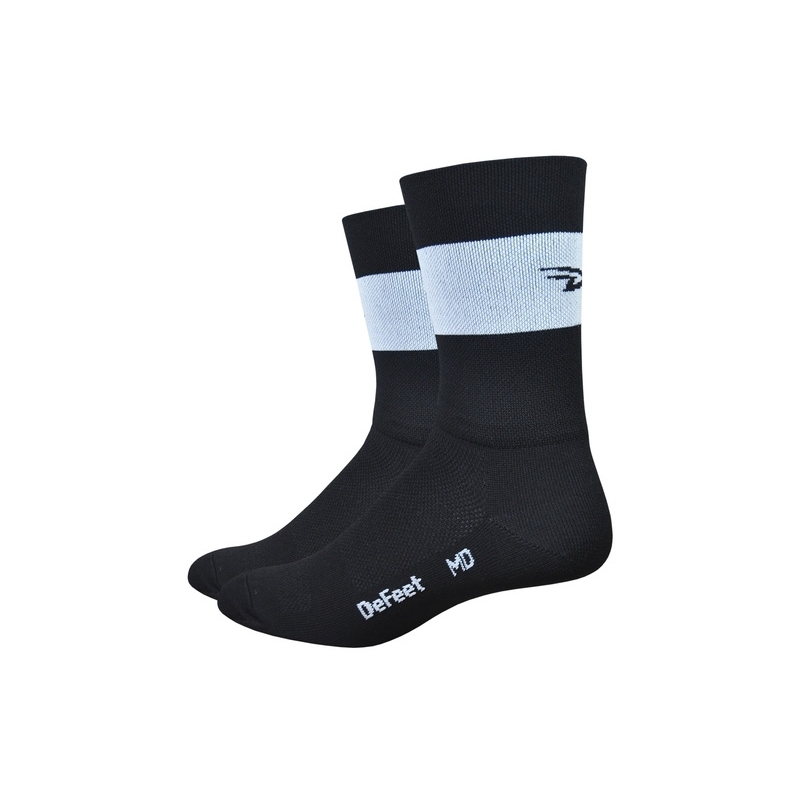 The new Team DeFeet Aireator comes in a large palette of colors to help make any kit look amazing! With its trademark venting mesh weave foot, comfort compression double cuff, and durable heel and toe, the Aireator guarantees long-lasting performance. Made with CoolMax EcoMade, from recycled resources. Remember, The Sock Maketh the Kit! To measure your foot length, place your heel against a wall and measure from wall to the tip of longest toe whilst standing.